NASA declared at a press conference today that its Opportunity rover is officially no longer functional, marking the end of an era while celebrating the wildly successful Mars Exploration Rover mission. The Mars Exploration Rover team made its final, unsuccessful attempt to reach the Opportunity rover last night. Scientists, science communicators, and science fans have been posting on Twitter about their favourite memories of the rover and the nearly 15 years it spent exploring Mars. NASA last heard from Opportunity on 10 June 2018, after a dust storm encircled the planet, blocking the rover’s solar panels. NASA researchers held out, attempting to ping the rover hundreds of times and listening over the radio waves hoping to hear its signal once again. But there was no response. 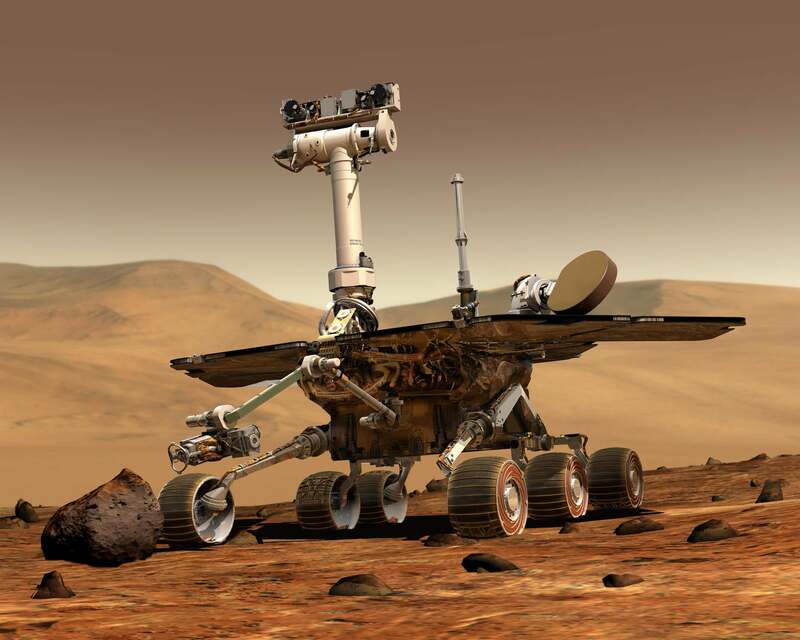 The rover, along with its partner, Spirit, landed on Mars in 2004 as part of the Mars Exploration Rover mission. The two rovers far exceeded their expected 90-day lifespans, exploring the rocks and atmosphere of the Red Planet to reveal its history. Together, they found evidence that Mars was once a wet world that could have had the ingredients for life on its surface. In the meantime, they took loads of images of the planet that helped shape the public’s view Mars. Spirit met its end in 2010. 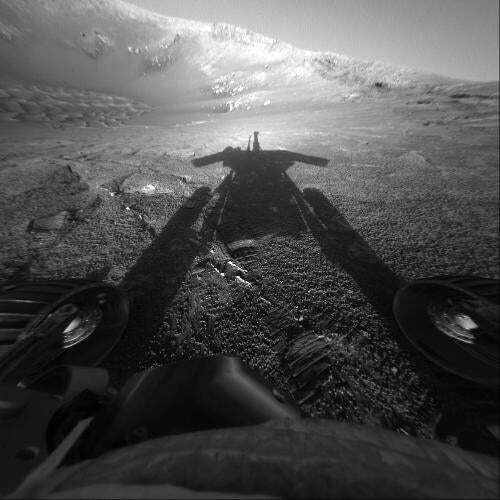 Opportunity exemplified this mobility, travelling over 28 miles across the Martian surface. 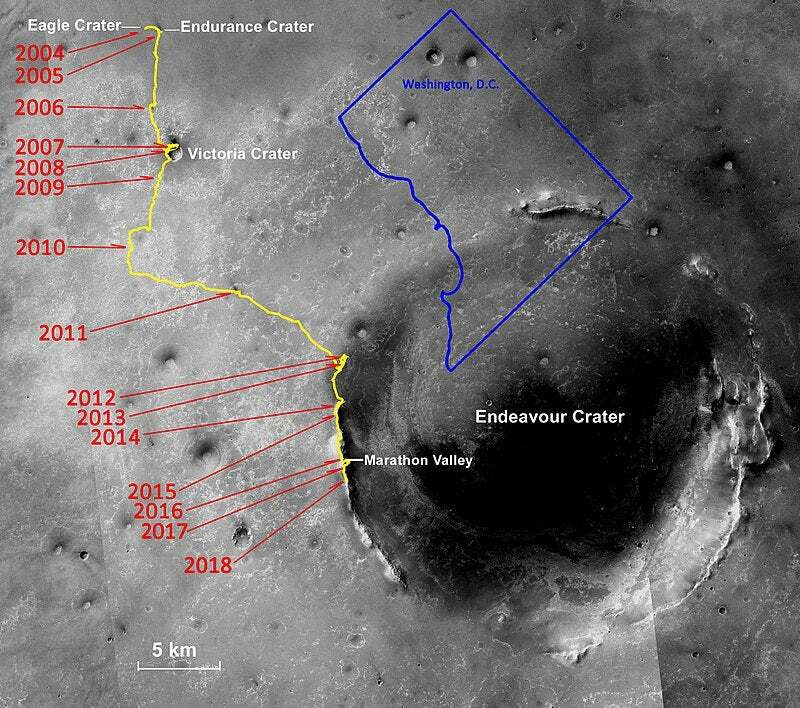 The mission began in the Eagle crater, and after studying nearby craters, the scientists decided to take a long journey to the much larger Endeavour crater. “When we got there, the mission started all over again,” Steve Squyres, MER principal investigator at Cornell University, said during the conference. We have a tendency to get attached to the spacecraft we send out, not because we care so much about the hardware itself but because they represent large teams of hard-working individuals pushing human knowledge to places it’s never been before. These missions and the people working to keep them operating come with an important legacy of discovery and each represents a milestone in space exploration. It’s sad to see projects like these end. And the mission was influential. “There really are hundreds and thousands of students just like me who witnessed these rovers, and followed along with the mission over the past 15 years, and because of that went to pursue science and education,” Abigail Fraeman, Mars Exploration Rover deputy project scientist at NASA’s Jet Propulsion Laboratory, said at the press conference. This isn’t the end of Mars exploration, of course. Martian science has pushed onward. The ExoMars and Mars 2020 missions will add two more rovers to the Red Planet. The InSight lander has only just arrived on Mars’ surface and has successfully deployed its instruments for measuring the interior of the planet. Curiosity survived the tempest, and there’s still banks of data from the rovers for scientists to analyse. And, as some of the scientists we’ve spoken to have intimated, there aren’t many more noble ways to go than to perish in one of the largest Martian dust storms on record after enduring for 14 years longer than you were supposed to. If you’re not ready to say goodbye (is anyone? ), we’ve compiled a few eulogies from astronomers who knew and loved Oppy. You can also look through all of the mission’s images at the Mars Exploration Rover gallery, here.